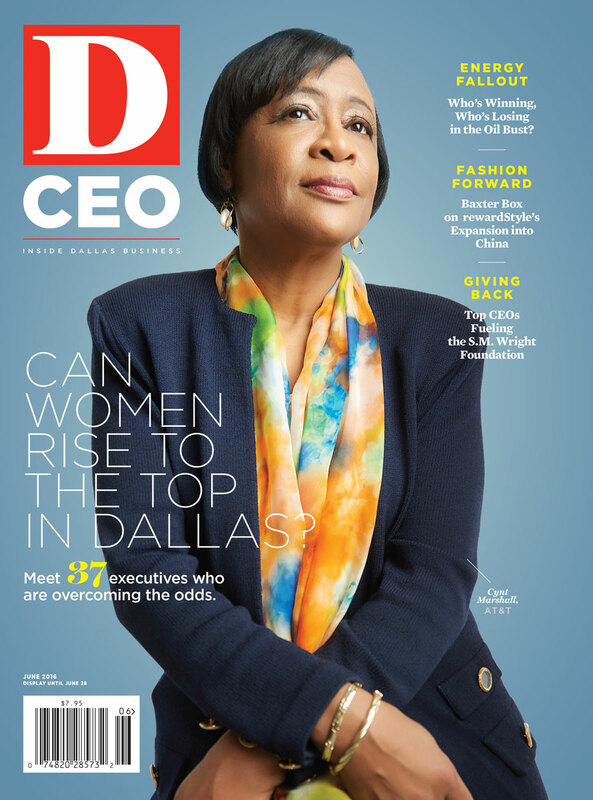 By D Magazine | 3 years ago Meet the outstanding executives who are overcoming the odds. By Jeff Bounds | 3 years ago Top business executives are helping the S.M. Wright Foundation lift up Dallas-Fort Worth’s less fortunate. By D Magazine | 3 years ago The founder and CEO of Pinnacle Group on why she's excited for her company's future. By Christine Perez | 3 years ago The CEO of Texas Central Partners wants to make transportation between Dallas and Houston faster and more convenient. By Dotty Griffith | 3 years ago Former business litigator Pam Eudaric-Amiri left the legal world to open an Oak Lawn Avenue shop. By D Magazine | 3 years ago The head of Imagine Communications aims to change the ways we engage with media. By Danielle Abril | 3 years ago Baxter Box leads his company to China, as the brand builds its footprint, team, and client base. By Don Wall | 3 years ago Business duo takes their taco shop from a college hangout to a franchise with nearly 100 locations. By Jatsive Hernandez | 3 years ago In the garden with the founder and CEO of ad agency Slingshot. By Jeanne Prejean | 3 years ago The president and CEO of Children’s Health System of Texas on his private oasis. By Lauren DeLozier | 3 years ago Tara Green, president of Klyde Warren Park, on the sports business. By Christine Perez | 3 years ago The risks, rewards, and future of the immigrant investor program. By Phil Harvey | 3 years ago Internet access isn’t just speeding up. It’s unlocking a completely new era. By Steve Kaskovich | 3 years ago Online finance companies are luring cash-strapped borrowers with loans bearing sky-high interest rates. By Jeff Bounds | 3 years ago Community and small financial institutions are having trouble attracting successors to the C-suite following years of consolidation and limited hiring.